Home » Traditional » 40" - 49" » Brookdale 45"
Redecorate using our attractive old world styled Brookdale bathroom sink vanity. The bold and unique design is highlighted with a cream marble countertop. The cabinet base provides ample storage for your essentials. 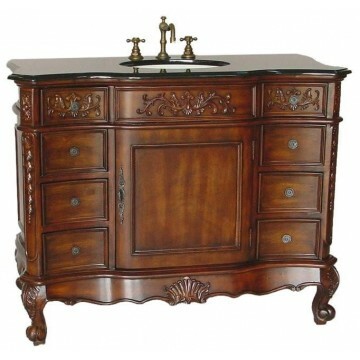 Give your bathroom an upscale appearance with this striking vanity. 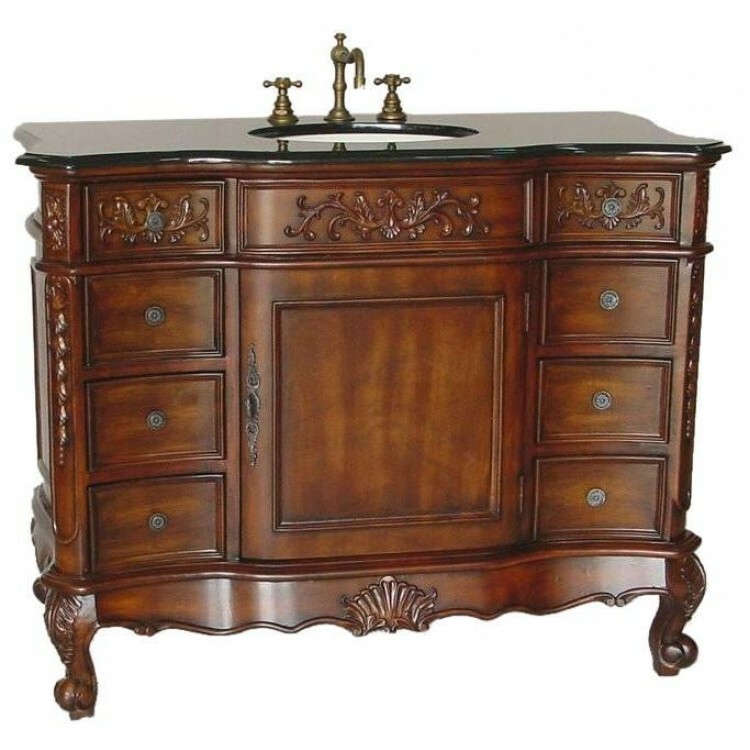 This vanity is carefully handcrafted of solid wood. A smooth, rich finish brings out the luster of the wood. Cabinet has a large center compartment with a half shelf and two functional side doors.